Students at Liberal (Kansas) High School are allowed to take as much fruit and vegetables as they’d like from the school’s salad bar. Since it was established 70 years ago, the national school lunch program has required the federally assisted meals to be nutritionally balanced. The revisions that went into effect in 2012 were the first major changes in 15 years. Based on recommendations from the Institute of Medicine and the 2010 Dietary Guidelines for Americans, they were intended to help stem the growing problem of childhood obesity. The new rules, championed by Michelle Obama and other nutrition advocates, mandated a greater emphasis on fruits, vegetables and whole grains — and less salt, saturated fat and trans fats. They also emphasized portion sizes and calorie counts designed to maintain a healthy weight. In response, students at Wallace County High School in Sharon Springs, Kansas, w produced a music video parody that quickly went viral. The video portrayed student athletes collapsing from hunger. 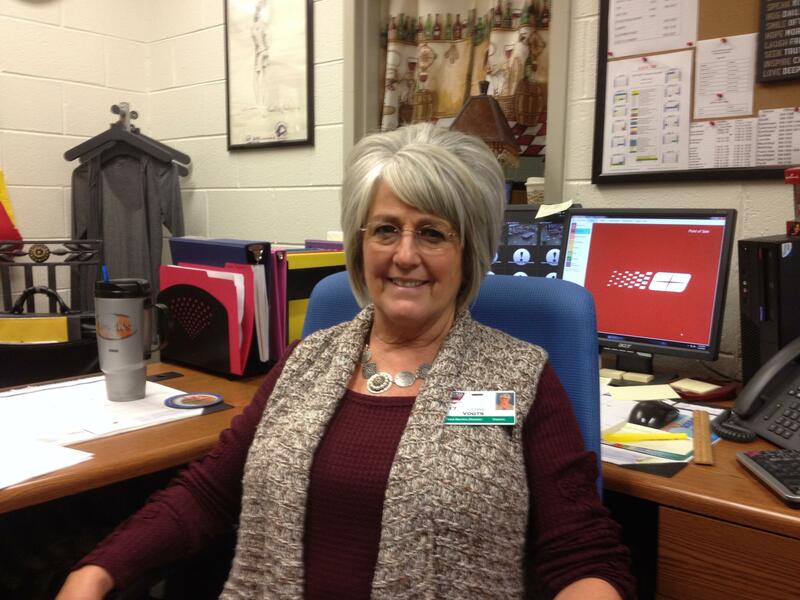 Elaine Fischer heads the school nutrition program in the small northwest Kansas town. She sympathizes with the students’ complaints, but only to a point. Fischer plans meals carefully to give teens the calories they need to pay attention in the classroom and push themselves in sports — even after some start the day with chores on the farm. “We serve them enough here that, if they take everything off of our main line, and then they have access to the fresh vegetables and the fruit and stuff off the garden bar, they shouldn’t be hungry,” she says. The students must have come to the same conclusion, Fischer says, because the controversy has died. An influential group of conservative lawmakers in the U.S. House say they want the Donald Trump administration to lead a repeal of many of the nutrition rules, but Trump’s post-inauguration plans remain to be seen. Three hours to the south, at Liberal (Kansas) High School, students haven’t produced any protest videos. But they’re also not ready to give their cafeteria a five-star rating. During a recent lunch period, the hot lunch included five chicken nuggets, a serving of potatoes and gravy, a whole wheat roll and milk. But the cafeteria also offered a salad bar stocked with a colorful variety of fresh vegetables and a prepared fruit salad of strawberries and bananas. The salad bar is available every day, and students are allowed to take as much as they like of anything on it. One young man put everything from the hot line into the large compartment of his food tray. The other four sections were overflowing with strawberries and bananas. Connie Vogts, nutrition services director at Liberal High School, recently was recognized by two national organizations for her innovative approach to get students to eat healthier. But some kids, like wrestler Chris Boman, would rather have less from the salad bar and more from the hot line. “It’s great that we can get as much as we care on vegetables and fruits and stuff, but I guess me personally, I like to have a little more meat and stuff,” Boman says. Across the table, football player Jesse Navarrete — who stands 6-foot-3 and weighs 280 pounds — said he doesn’t always get enough to eat. “Sometimes I do get filled up by it, but sometimes if I don’t like it then I just eat the main course or a side,” Navarrete says. It’s not just hulking defensive linemen who complain about not getting enough to eat. Bailey Crosier is on the golf team. She’s less than half Navarrete’s size, but her complaint is similar. “Like, there’s no flavor or anything, and, like, I feel there’s not enough food,” Crosier says. Likewise, Shay Wiltshire said she brings snacks from home to supplement her lunch. Otherwise, she’d be hungry at basketball practice. And she thinks the flavor of the meals suffered when the new standards went into effect. Connie Vogts, nutrition services director at Liberal High School, suspects the complaints about flavor are probably mostly due to the reduction in salt. She takes critical reviews like these in stride. It tells Vogts that, while it may not be McDonald’s or Pizza Hut, the food is acceptable. “Our goal is to teach kids healthy eating habits, to put nutritious food in front of them, and hopefully if you put it in front of them day after day, you know, they learn to respect and appreciate what healthy and nutritious food is,” she says. Vogts isn’t just any school nutrition director. She’s one of a handful recognized by two national foundations for her innovative approach to getting students to eat healthier. Stephanie Scarmo is the lead researcher for a school nutrition project funded by Pew Charitable Trusts and the Robert Wood Johnson Foundation. She said Vogts was recognized for a program she launched two years ago called Second Chance Breakfast. It operates from a kiosk in the commons area between the first and second class periods. Eating breakfast improves academic performance, according to Cheryl Johnson, who oversees nutrition and wellness programs for the Kansas State Department of Education. “When the students eat breakfast then the calories in the lunch, it fills them up because they’ve had breakfast,” she says. Johnson says when she visits school cafeterias across the state, she sees kids — especially the younger ones — eating more fruits and vegetables, but the amount of food thrown away has not increased. Those are signs, she said, that the changes that sparked so much controversy in the beginning are now working without much fanfare. This story was originally produced by KCUR 89.3 in Kansas City.